The Grand Teton National Park offers considerable challenges to those who want to venture into its 310,000 acres during Wyoming’s hard winters. Yet the rewards are there. You’ll walk where the Shoshone natives once held their ground. You can traverse the snow like the French trappers that once made their livings from the plentiful wildlife. If you are extremely hardy, you can challenge the mountain heights. Park rangers lead visitors on guided snowshoe tours. Offered daily, these start at the Moose, Wyoming, headquarters of the Grand Teton National Park. Of course, many enjoy snowshoeing on their own. These winter hikes offer a close interaction with the natural world. Rangers stress that hikers should be careful to plan their routes because it is easy to get lost. Many adventurers are drawn to the Grand Tetons for the snow. The higher elevations will get 450 inches of snow during the winter with only a mere 191 inches in the valley. 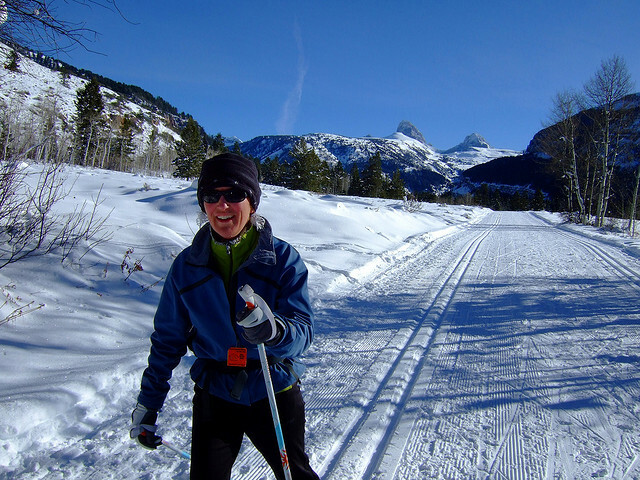 .Cross country skiing can be enjoyed daily with a return to comfortable quarters every night. You can enjoy unrestricted access to the park because no one expects you to keep to the trails. To make the area safer for winter sports, many areas are closed off to vehicles of all kinds. For safety, skiers can use the roads as trails. The Grand Tetons are among the most challenging mountains in the U.S., especially in the winter. For those with the proper climbing and survival skills, a winter ascent is possible. 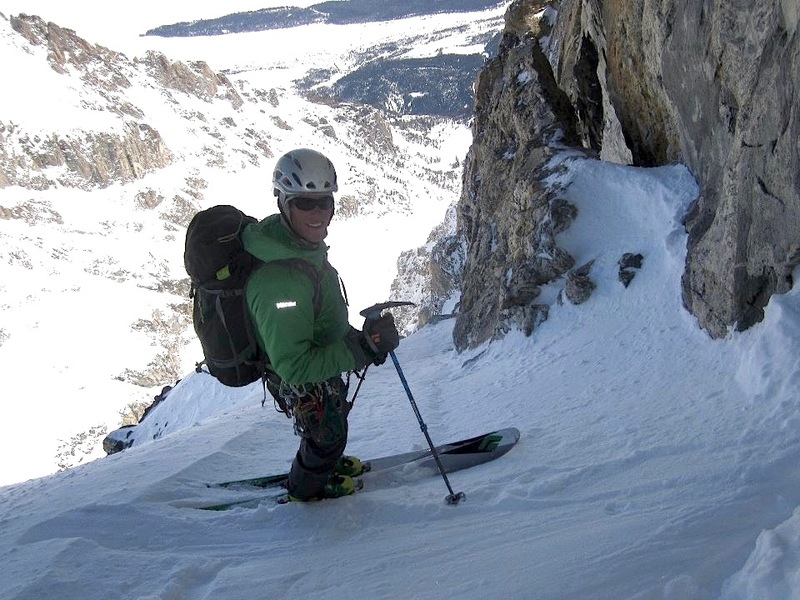 The Wind River Mountains offer a chance for multi-pitch ice climbing. Downhill skiers and snowboarders will also find some fun on these slopes, if they can make the inland trek to reach them. Be advised that the dangers are many. Park rangers advise that only the most experienced should attempt it. Adventurers should get permits, seek guidance from rangers, and even secure paid guides for these activities. For expert skiers who want the adventure of a lifetime, they can accompany guides to the toughest spots. Guides will help them use ropes to ascend such challenges as the Apocalypse Couloir, Buck Mountain, and Spalding Peak. The Grand Teton is also a possibility with ski crampons and an ice climb. After a vigorous ascent, it’s a thrilling shoot down a vertical incline that plummets 4000-to-6000 feet. The RV campsites are closed for the winter. The visitor center at Colter Bay permits primitive winter camping. The hardiest adventurers may want to use their skills to hike into the backcountry. For this, campers need to register with the Park. Obviously the winter dangers are so great that camp officials are concerned about inexperienced or unlucky adventurers who lose their way. Permits are a common requirement in all national parks, including Yellowstone and Yosemite. A winter trip to the Grand Tetons involves advance planning with a close eye on how the weather will affect your travel route. For all types of adventures it is advisable to consult with park rangers in advance. It’s best if guides, equipment and winter lodging are pre-arranged. In the Park, only the Triangle X Dude Ranch is open, and reservations for a two-night stay are required. 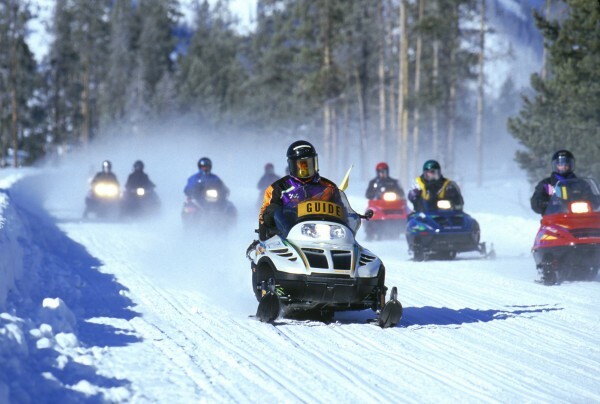 Visitors may opt for one of the private ranches or ski resorts nearby.